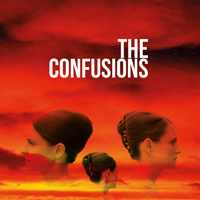 This is the ninth full-length album from The Confusions and perhaps their best. The light, carefree guitar pop, reminiscent of timelessness, straight lines for both the 80s and 90s. Anyone can be safe in the knowing that a new friend every time you hear it. The man who always has something to talk about with. Here are the immediate popknockarna which has always been the group's strength. "Oh God I Think I'm In Love", It's So Quiet, It's So Cold "," Stuck In The Middle "," Pavement "and" Yes & No ", the latter makes Michael a gorgeous duet Isabel Neib. Cooperation with producer Johan Sigerud has also brought new influences, with a powerful sound and stylish arrangement of "This Is War", "Mother" and the nearly 12 minute long "Music" where Mikael Andersson-Knut balls his voice against Frida Madelaine (Red Mecca) . That's the big picture that feels as though it's The Confusions' Sgt. Pepper.